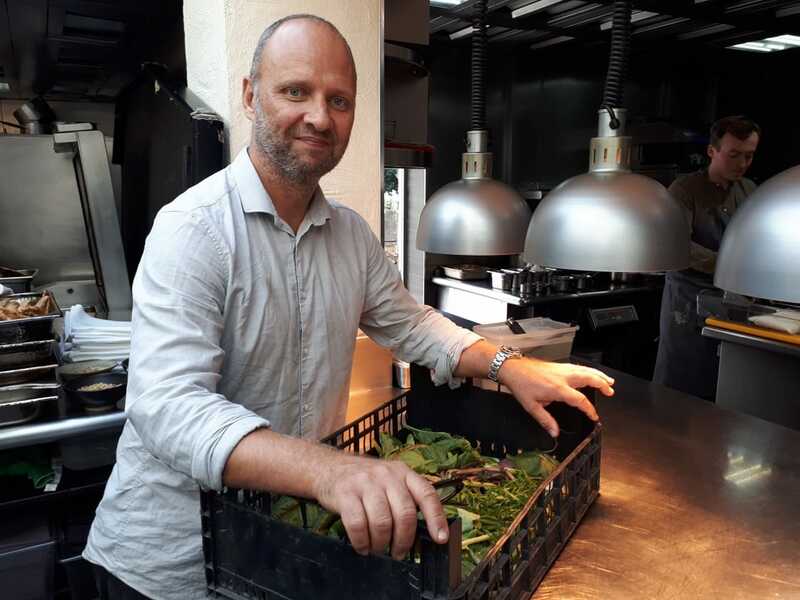 Back in 2002, when Simon Rogan’s L’Enclume first opened, one of the hardest challenges was securing ingredients of the right quality, size and the flavour. Not being able to find radishes that were up-to-scratch was a catalyst for establishing a relationship with a local farm, but that meant someone else was still in control, so in 2006 they established their own smallholding. It’s now grown into a 12 acre site where they cultivate fruits, vegetables and herbs and also rear some animals. The site is divided up with a number of poly tunnels, some for propagating, some for growing, with plenty of outdoor beds. 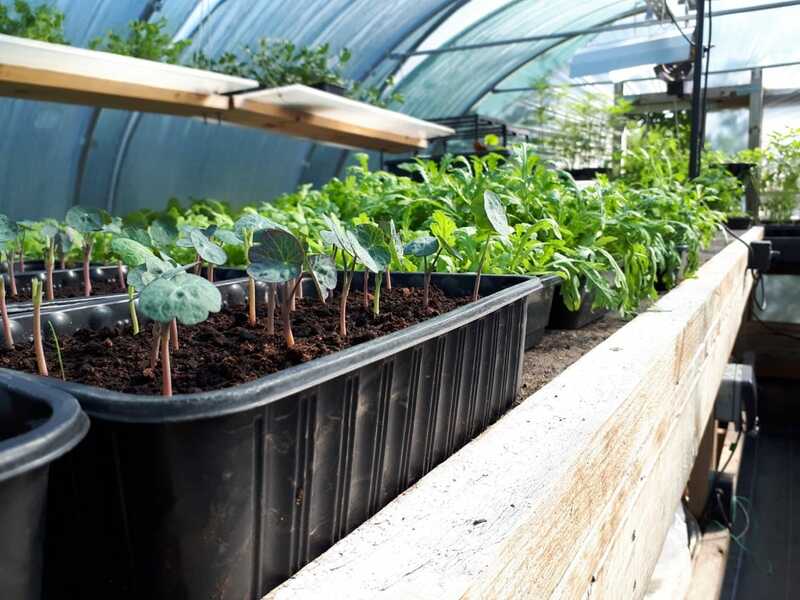 In the tunnels there are lettuces, cucumbers and chard, copious numbers of seedlings waiting to be planted out, and beds filled with brassicas and root vegetables. Dexter cattle, chickens and a local breed of pigs roam on the fells just outside the vegetable plot and they also keep bees, which helps with the pollination of the plants. An invitation from Simon Rogan to visit his farm was too good an opportunity to miss, so on a sunny Cumbrian morning I made the 15min walk from Cartmel village to ‘Our Farm’, where I met up with him. He was already hard at work picking produce for lunch. Yes, but as yet it’s not certified. I’m impressed by Simon’s eco-credentials. Compost bins line one fence and it’s here that all the compostable items from the restaurant are sorted, with some going to feed the animals and some going to compost for the vegetable beds. He’s currently working with the local council to see if he can also take the village’s waste to turn into yet more compost. Do you have a gardener? Yes, we have 3 full time gardeners, but that’s not really enough. I’m up here most days, assisted by members of staff from both the kitchen and the front of house teams. We encourage all of our new staff members to do a month up here to fully understand our philosophy with regard to the ingredients. In fact, at peak harvest times I get all the staff up here to help, then follow that with a BBQ and a few beers. You’re a chef, not a gardener, so what mistakes have you made? I’m a ‘Google gardener’! If it doesn’t grow I just look it up to find out what I’ve done wrong. With the summer we’ve just had, how have you managed with extreme temperature and lack of water? We store water and have installed a comprehensive irrigation system; we recycle water with UV filters as much as we can. The temperature was a bit of a problem which has led to some late planting, late harvesting and even planting at night when it was cooler. 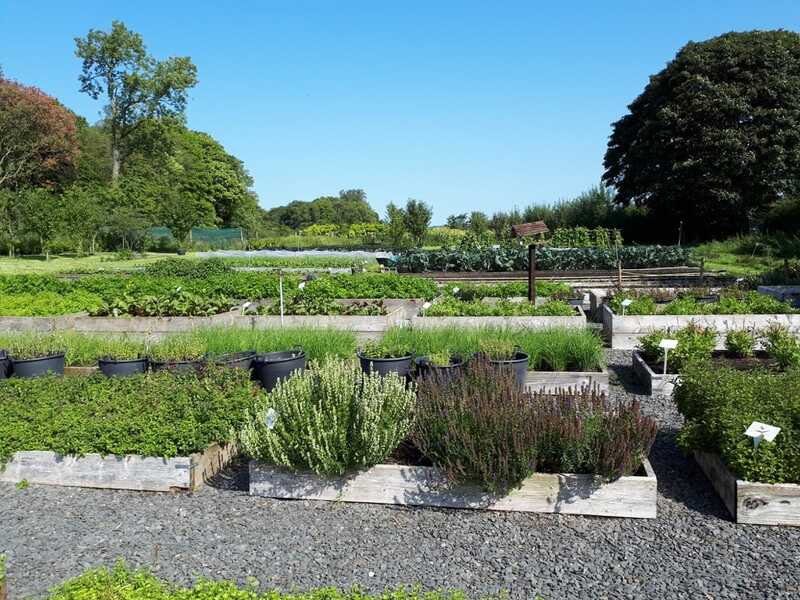 Has the farm influenced the dishes we see at L’Enclume? Absolutely. I can ensure consistent quality of all of the ingredients we grow – their varieties, their flavour and their appearance. The dishes now are simpler and more focused on the principle ingredient. At harvest time, the menu changes frequently to really make the most of these ingredients, so people are eating them at their best. It makes for volatile menu planning! Do you encourage your guests to visit the farm? Yes. We arrange farm tours for them. Somebody from the team will bring them down and show them around. What else would you like to do with the farm? We’d like to expand our livestock with some sheep but we still have to find the perfect breed. Inevitably we will continue to expand the farm as L’Enclume consumes most of the produce that we grow. 200 celeriac a week is quite common! On the way out I spot some basil; not a herb I would necessarily expect to see in a L’Enclume dish. “That’s for the staff pizzas!” Simon replies.